Here's how I achieved a drastic speed up of an entire test suite (roughly 300 tests) of an open source django project designed for crowdsourcing geographic data called nodeshot, which has many database tables running on PostgreSQL (9.1) and Postgis 2. First of all I measured my tests by importing this module from the main manage.py, which adds two flags to the test command: "--time" and "--detailed", which output the execution time of each test class and each single test function. I noticed that there were tests which were taking many seconds to complete, but most tests were not very slow. So I understood that I needed to act on both fronts: in general, by speeding up the database creation procedure and in detail by working on specifc slow test functions. With these settings alone the total time taken to execute the tests was less than half. Keep in mind these settings are for development only, I'm assuming you won't care if you lose data in your development environment. 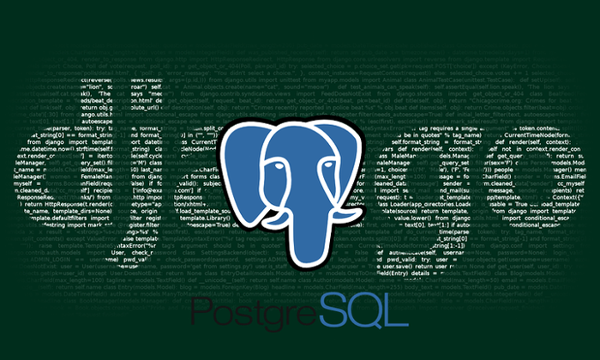 Find out up-to-date information about PostgreSQL non durable options. This flag will avoid destroying the database at the end of each run, which will drastically speed up test execution time. Another good consequence of using this flag is that tests will start really quickly, so running specific test classes for specific modules will take only seconds, which is obviously a great news if you're doing TDD or refactoring your code often. I fine tuned the default django settings for tests to keep only a few essential middlewares, use the md5 password hasher, and set the celery broker to "memory". This is more a micro optimization compared to the previous boosts. I had a few test classes extending LiveServerTestCase in order to perform http requests to the development server, these test classes took a much longer time to complete than the others. I refactored these tests to mock http responses, the main tool that I used is the great responses library. Now the entire test suite takes about 50 seconds to complete, while specific tests for specific modules take seconds, the result is obvious: enhanced productivity, faster refactoring. While working on this issue I also discussed about the topic in the django-developers mailing list, which in turn resulted in this small addition to the django documentation. I hope I saved some of your time, I hope as well that you'll do better than me and share your results with the open source community.